The Challenger Series offers a durable light weight garment with plenty of features. 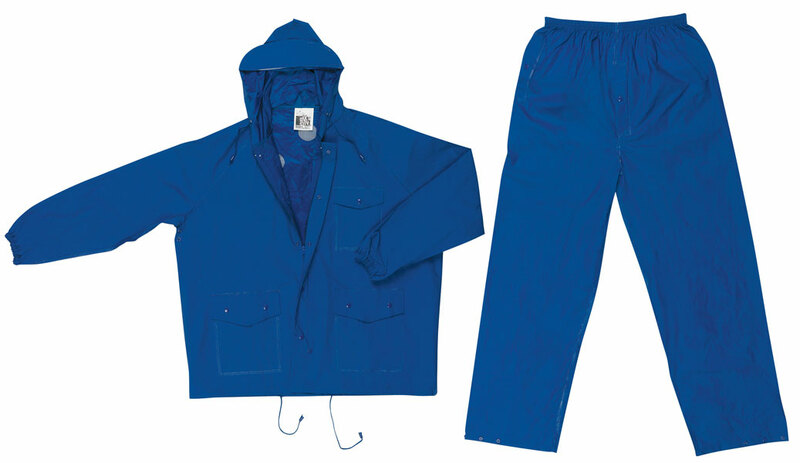 The 7032 is a 2 pc blue suit that consist of a jacket with attached drawstring billed hood, zipper front, cape ventilated back, underarm air vents, 3 outer pockets, elastic wrist, and a drawstring bottom. The elastic waist pants feature a snap fly front, reach through pocket on the right side, and take up snaps at the ankles. Challenge your day wearing MCR Safety's Challenger garments.